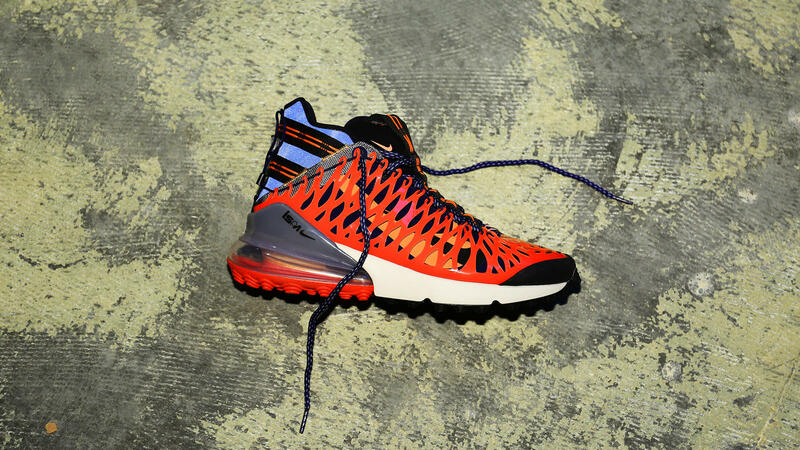 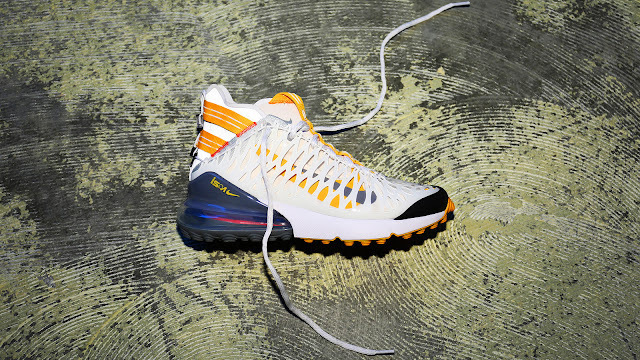 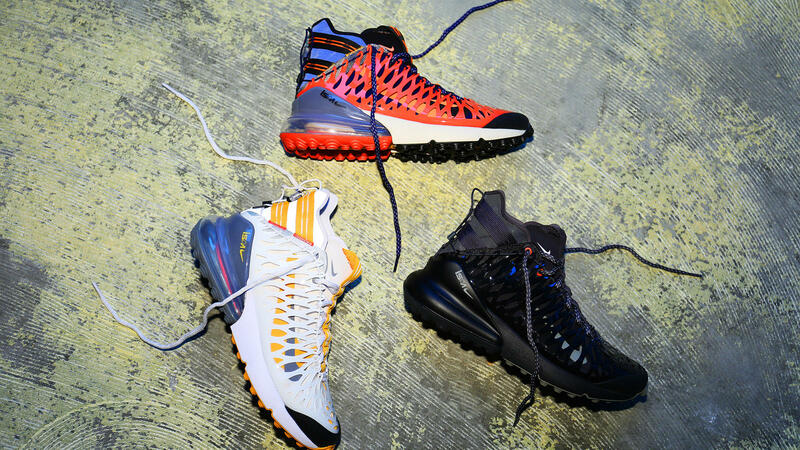 The Nike ISPA Air Max 270 follows the same design ethos as its streamlined predecessor, the React ISPA LW WR MID, but with an eye to providing a higher degree of protection. 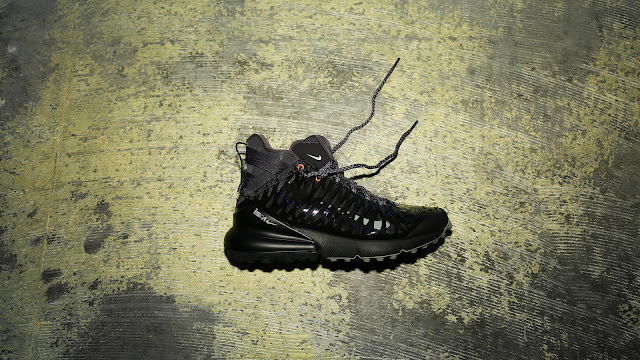 To this end, the cage surrounding the upper serves two purposes: It provides a basic shield and forms a unique closure system that allows for an adjustable fit (similar to the Nike Komyuter). The 270 unit is paired with a rugged traction pattern that simultaneously advances the aesthetic and adds additional security underfoot.